Follow fresh installation guideline if you are having problem to install template. To load factory settings of this template please open template settings and click Configurator button. 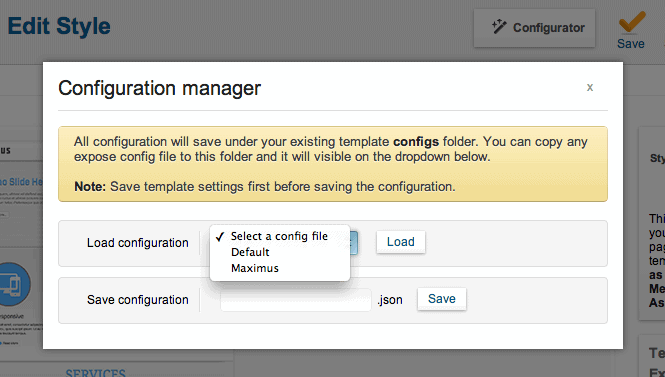 Under Load configurationbutton you will see all available settings there and choose settings named as your template name. Then press load button and you're done! Anonymous Homepage fully based on modules, and we turned on component disable for the Homepage, to do this go to Extensions → Template Manager → Tx_Parallax → Advance And turn on Component Disable option and enter your Home page menu id. 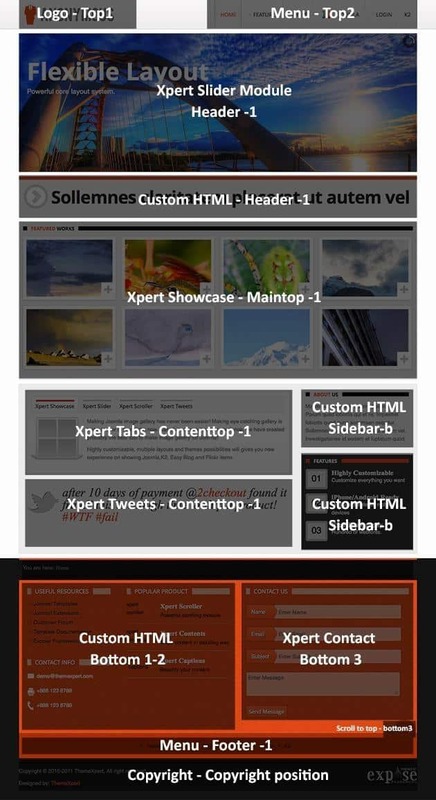 The screenshot below shows you the modules we have published on the homepage of the demo site.